Though Trap features in late 90’s Hip-Hop, it didn’t announce itself onto the music scene until the early millennium. Fast hats, crisp snares, cinematic booms and the legendary Roland TR-808 drum machine are but a few key ingredients to the unmistakable trap aesthetic. One of the most observable features of Trap is its heavy reliance on technology. Whether that’s the glitch editing or super sequenced percussion, there’s no surprise Traps journey into the Mainstream has accelerated at a similar rate to the Computer-based Recording Studio. This article explores some of the best trap drum samples on the market today, as well as how and why you should be using them in your beats right now. Below is a short list of the trap drum kits we talk about in this article. Scroll down for more details or click for audio demos. 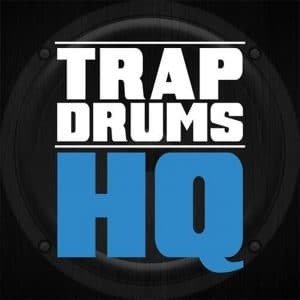 Trap Drums HQ is a collection of sampled Analog Drum Machines recorded through high-quality API preamps. Enormous care has gone into the creation of this package. With over 1600 samples recorded, only 314 of the best one-shots made the final cut, plus a further 63 bonus samples. What shines in particular for this sample pack is the variations of processing. Producers wanting to add a Trap influence to a tamer Pop track can do so with the cleaner samples. For those wanting to add true Hip-Hop styled aggression, there’s plenty of hard transient and saturated samples for your needs. Do not overlook the tuned 808 samples folder. Nothing says big bass like an 808 tuned to the key of the track. Why not take it a step further and program a bass line using the different pitches? Who needs 113 new trap snare samples? Modern Trap Snares will add unique and modern sounding snares to your arsenal. Recorded through a host of analog equipment from API, Chandler EMI, and Dangerous Audio, you can be sure this sample pack will inject mojo. The samples are the outcome of high-quality analog and digital processing to provide the best possible Snares for your beats. 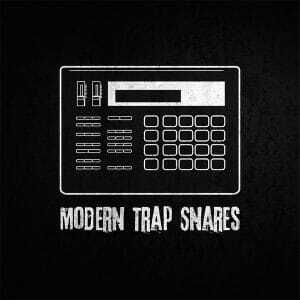 Whether you’re creating modern day Trap, Hip-Hop or must have that aggressive trap snare, “Modern Trap Snares” has you covered. Contained within a single folder, open up your DAW’s browser and have fun auditioning different sounds. Whether it’s short and snappy like a Rick Ross track or you’re after something layered with hits, stomps and extra percussion, you’re guaranteed to find the snare you need with this package. 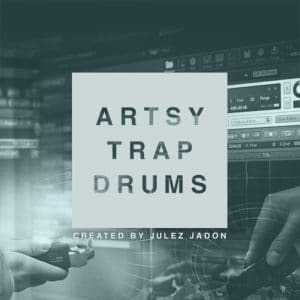 If you’re the kind of producer that doesn’t lust over another series of processed 808 samples and are after unique, the Artsy Trap Drum Kit is for you. With over 80% of the samples consisting of found sound recorded, this sample pack will leave your Trap beats sounding industrial. Described as “one of the most creative kits you’ve ever heard”, this trap kit is a collection of 109 sounds that’ll help to create interesting sounding trap beats. Layered with unique sounds such as clocks, shattered glass and the underground, this kit is truly one of a kind. Snare lacking punch? Blend in a glass shatter sample. Want to reinvent the low pad drone? Loop an underground sample and side-chain it from the kick to interject a unique environment every time the kick hits. No matter what Trap sub-genre you create in, or even some deep sounding Hip-Hop, this pack is ideal for adding uniqueness to your beats. On top of the “artsy” sounds, the remaining 20% of the package consists of processed, pounding 808 sounds. So, if that’s something you’re in need of, this kit might round out your library. Wow. From the ears that brought you the Artsy Trap Drum Kit, Julez Jadon went back out to record something fresh. Junkyard Trap Drum Kit. A collaboration with fellow sound designer Severin Beats, these trap drum samples combine crisp 808 drum sounds with brutal metal hits, hard-hitting pipe stomps and ear-shattering crowbar smashes. Alike the Artsy kit, Junkyard Trap can serve as the perfect accompaniment to your existing beats. Think of it as flavoring when cooking, a little goes a long way. A crowbar smash could be exactly what you need to bring the intensity of your Chorus up on the downbeat. The SFX folder could contain what your track needs to transition from the Chorus back into the Verse. 100 unique sounds divided into 808, Hats & Cymbals, Kicks, Loops, Percs & Hits and Snares gives you an inspirational set of sounds to help you become more creative with your Trap Beats. 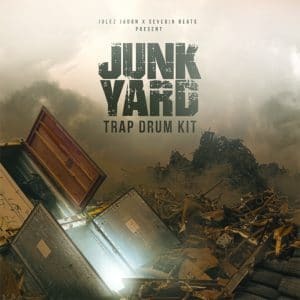 Featuring some of the most intense snares and loops you’ve ever heard, let “Junkyard Trap Drum Kit” take your beats up a notch. 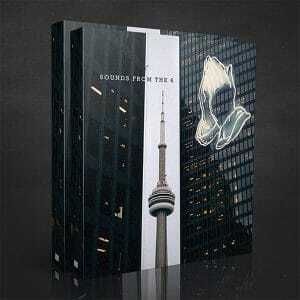 Inspired by the Toronto sound pioneered by Drake and Noah “40” Shebib, Sounds From The 6 provides over 2.3GB of inspirational trap samples. This incredible bundle includes 2 Toronto influenced sample packs: Time To Be Alive Volume 1 and The North Volume 3, featuring 14 construction kits and 200+ individual loops. This bundle has all the musical ingredients to add a little Hotline Bling to your productions. From unmistakable 808 kick drums to pitch-shifted snares, this offering packs a big punch. This bundle is for the creative producer, with the samples crying out for chopping, editing, resampling, and flipping. Included with the bundle are MIDI file equivalents of the WAV file audio loops. So if you Like a loop but not the sounds, find the MIDI file and retrigger it with your Virtual Instrument of choice! A complete swiss army knife for the trap producer wanting to compete with the OVO giants. Booming Trap is 747MB of content with Loops, One Hits, Sampler Patches and MIDI Files. Created by Producers behind beats for Future, Juicy J, Rae Sremmurd and much more, you’re in good hands with this pack. 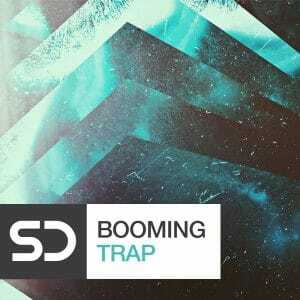 With over 250 loops and 255 one-shots, “Booming Trap” has a large selection of samples to help kick-start your creativity. One feature that differentiates “Booming Trap” from other Sample Packs in the list is the tempo range of the loops. Ranging from 118bpm to 160bpm, the loops (unedited) can provide an injection of EDM, Dubstep, House and Techno to your productions. The variety of genre of loops allows creative genre crossover with ease. Another differentiating feature is the range of samples. Not only do you get high-quality 24-bit drum and percussion samples, but also included are Bass, Vocal Hits, FX and a range of Synthesizer loops. With such a wide range of instruments available within this single package, “Booming Trap” is ideal for the producer that may not be able to play, but has an ear for Trap gold. If that wasn’t enough, included with the 500+ WAV files are MIDI Files, multi-sampled Synthesizers, and Sampler Patches. Trap and Minimal go together well. Take Fetty Wap’s “Trap Queen” for example. For the first minute of the track, you won’t hear much more than a keyboard, vocal, snare and hat. 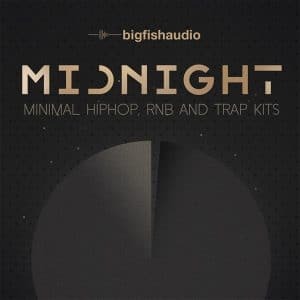 Midnight takes influence from current chart toppers Drake, Future and The Weekend (to name but a few) and brings that minimal chart-topping style to you via 4.3GB worth of samples. Available as Kontakt Loop Interfaces (KLI), Midnight is quick to program into your latest beat via the Kontakt Player. Midnight is also available in RMX & REX formats for those who prefer programming with Stylus RMX and Reason’s Dr. Octo REX. For those who’d prefer to use raw audio, each audio file has been cut and edited to loop within your DAW. With 50 Kit Combo Patches, 700 Kontakt patches, 50 Drum Kit Patches, 15 Single Instrument Patches and over 550 Sliced Loop Patches, Midnight has all the right ingredients, to keep producers of all skill levels and experiences inspired. Only Very Original. Another set of trap drum samples inspired by Drake’s label, but when you’re at the top of your game – your sound becomes sought after. Focusing on OVO Trap, Chill Trap, Hip Hop, RnB and Chill Out, “OVO Sessions” provides a versatile, genre-spanning sample set guaranteed to keep you inspired and creative. 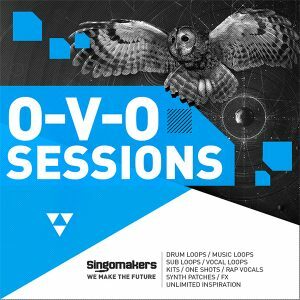 “OVO Sessions” is 1.16 GB worth of HQ samples including one-shots, loops and samples ranging from full musical loops, to drum fills to vocals and FX, as well as a host of Multi-Kit Presets, Synth Patches, and MIDI files. The musical loops stand out for their sheer quality. From eastern plucked samples, heavily edited to include the classic Trap pitch drop, to glitch edited bells, these loops would be at home in any producer’s sample library, though particularly useful for the less technical producer. Not that OVO Sessions aims at those less technical. These samples range in processing intensity, from bare bones for the tweaker to chop, change and remix, to polished and ready to drag and drop. Pure Canadian inspiration. Using high-end outboard and a compulsive attention to detail, Super Analog 808 provides punchy, warm analog drums based around the legendary Roland TR-808 – perfect for trap music! 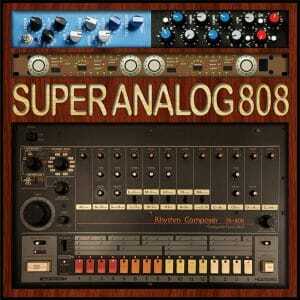 Recorded at 96 kHz / 24 Bit and available as Instrument Patches for Battery, EXS24, and Kontakt, “Super Analog 808” is a high quality 808 package. The audio files are ideal for producers who prefer working with sound on a grid. There is also the flexibility of further processing using your DAW’s editing tools. Take a classic and mould it into your own sound. For those after a more authentic TR-808 programming experience, the Instrument Patches allow for quick sequencing via MIDI. You may be questioning why a sample library based on a 35-year-old Drum Machine is so important to your trap sonic arsenal for keeping up with your peers. 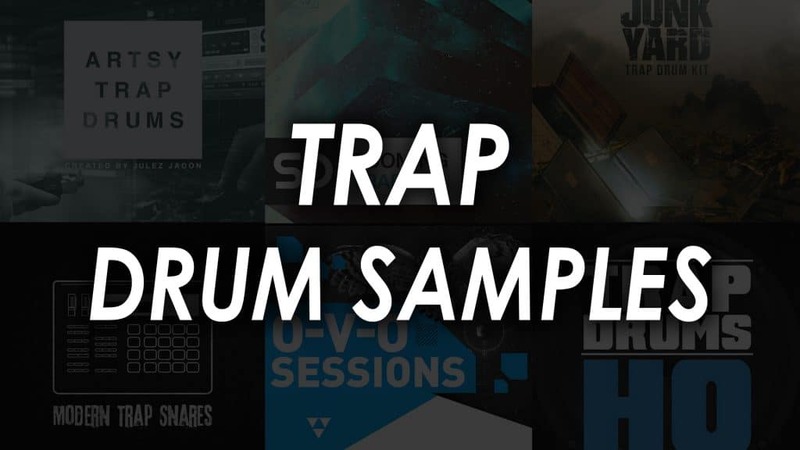 Look through the trap drum sample packs explored throughout this article, listen to your favorite Trap and Hip-Hop tracks and pick out the 808 sounds, which are a the backbone to the genre. French Montana’s recent hit “Unforgettable” has the unmistakable 808 claps throughout, as well as filtered 808 Kick and Snare samples. Being fresh is important, but there’s worth in paying homage to the greats. The TR-808 was never intended as a substitute for a bass; Roland has the much sought-after TR-303 for that! But the low end of an 808 Kick is unmistakable and often the bane of a producers’ workflow when the 808 Kick and Bass line aren’t gelling together. Enter “Analog 808” from Modern Samples – a collection of 212 tunes 808 bass samples and 35 Bass Drop Samples. With 100% Analog Processing from the Drum Machine to the computer, these samples have an authenticity and vibe, unlike their digital counterparts. Take the punch and unparalleled low end of the TR-808 kick drum and sequence to suit your beat. Not only do you get a range of pitches to choose from, but “Long,” “Medium” and “Short” folders containing varying lengths and velocities for each pitch. If that wasn’t enough, the fourth folder; “Falling 808s”, is a collection of tuned pitch drops. These pitch drops can create powerful transitions in your music. 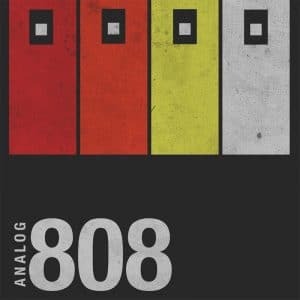 “Analog 808” provides versatility to a classic flavor that should be in every producers’ bag of tricks. With Trap’s growth comparable to that of the Laptop Producer, it’s no surprise that as more Trap influenced music is being created, the tools to create the music grows too. The above sample packs provide a vast pallet of sound for producers of all experiences and skill sets. If you can play the perfect keyboard part for your Chill Trap beat, there’s a host of soft synth presets for you. If you can mash an MPC as good as Dre, there are Battery and Kontakt patches for you. Hook up to your MIDI controller of choice to your DAW and program the most lit drum pattern you’ve ever heard. If you can’t play a note but have a strong ear, there are gigabytes of one-shots and loops available to manipulate into your smash track. Wherever you lie on the spectrum is irrelevant. The sample packs above have got you covered.